How great is Maisie Williams, eh? People are saying it’s a shame she’s too busy with Game of Thrones to be the next companion, but I say, wait until she’s 40, then she can be the sixteenth Doctor. I probably didn’t need to review this as a two-parter — synchronicity of titles aside, these episodes didn’t have to be consecutive — but hey, I didn’t know that until it was too late. I’ve always been impressed with Williams’s work on Game of Thrones, but I wasn’t sure that would necessarily translate to her being a good actor in general. Sometimes, after all, a middling performer just happens to get the perfect role — think January Jones in Mad Men — but outside of that setting, with different writers, their limitations become apparent. And Game of Thrones was Williams’s first job. As it happens, I was quite wrong: Maisie Williams is just very, very good, both as the Viking storyteller Ashildr and the ambiguous and jaded Lady Me. I talk about them as if they’re separate characters, but Williams found the threads that tied Me to Ashildr, and even in the brief, initially comedic flashbacks, gave us a glimpse of the journey that brought her to her current state. Ashildr/Me/Whatever She Calls Herself is a great character, and I am delighted that she’s been added to the Doctor Who universe as one of the constants in the Doctor’s life, past and present. She can be slipped in anywhere — in the background of Barbara Wright’s classroom, or at the Louvre in “City of Death”, or watching on as Ace blows up her art room — and I love that. It’s kinda awkward how well “The Woman Who Lived” works without Clara, and how much I enjoyed her absence. I didn’t think I had strong feelings about Clara, but apparently my dislike is really firming up. One of the recurring themes this season has been Clara’s inability to cope with death, and how that is influencing the Doctor to reverse it when he can. That, and the ambiguity of Ashildr’s presence in the background of a picture of Clara, makes me think, yes, Clara is going to die. And, given the way the scripts have been highlighting Clara’s dysfunction and growing self-centredness — self-protection in the wake of Danny’s death, but still insufferable — I don’t expect that it will be a particularly heroic or positive death. However, the other thing this season seems to be doing is re-telling — remixing, in fannish parlance — season 2, replacing Rose’s self-absorption with Clara’s grief; replacing Torchwood’s ubiquity and semi-competence with Ashildr. So, regardless of what kills Clara, I predict that after episode 11, the promised Doctor In Mourning story, she will be revived and given a redemptive ending that sees her choose to leave the Doctor, head held high, agency intact. And that’s good. The fact that I don’t like Clara doesn’t mean I want to see her punished for developing the arrogance the Doctor exhibits every single week. I don’t take the same glee in her (potential) death as I did when Adric wiped out the dinosaurs. One last thing re: Clara — as much as I am strongly in favour of Canonical Bisexual Clara, that line felt hinky to me. We don’t know precisely how old Ashildr was when she died — I thought 14, but that seems too young for “The Woman Who Lived”, given that the BBC isn’t going to be giving us teen marriages-and-babies in Doctor Who — but she’s certainly close to the age of Clara’s students. The big rule of teaching, beyond the obvious stuff, is “don’t publicly perve on people in the same age bracket as your students”. We established the other week that I don’t think Clara is doing her job especially well at this point in time, but that just felt off all around. On the other hand, it’s just very likely that I’ve read Ashildr’s age as being a lot lower than it was intended. The Doctor’s argument that travelling with immortals is a recipe for becoming jaded and callous would rather contradict his giving Ashildr the second immortality chip in “The Girl Who Died”. You can handwave it as him speaking for himself there, not to mention his fond belief that humans are special evolutionary snowflakes who should be protected from becoming too much like him, but making that a bit clearer might have been a good idea. …he actually traveled with another Time Lord for a while. And what drove them apart wasn’t detachment from mortal concerns, but Jon Nathan-Turner’s sexism the end of their relationship. Now, I strongly believe that the Doctor’s fears about having a companion with a lifespan equal to his are mostly borne out of Missy’s presence in the universe, the fact that she’s currently his only peer, and she’s been playing some serious headgames around love and friendship since she turned up. But a mention might have been nice. Anyway, “The Woman Who Lived” had a great script, puns and all, so I hope Tregenna comes back. She also wrote some of the least-terrible episodes of Torchwood, and a bunch of Law and Order: UK eps. She’s good. Give her more work. I read the “Fight you for her” line as Clara seeing Ashildr as a potential companion , rather than anything sexual, tying in with Clara’s incipient Doctorishness. 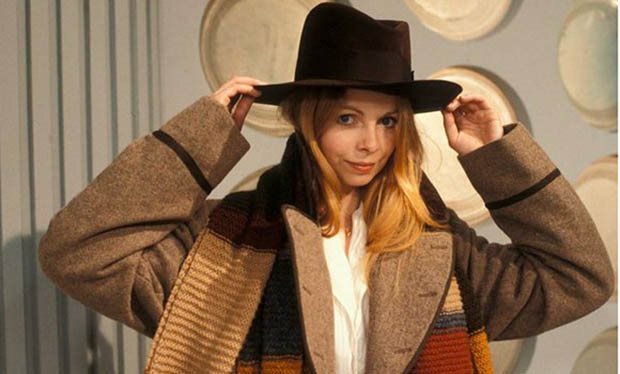 I thought about Romana and Susan, but I figure they would work as travelling companions because they are the same species as the Doctor, born and raised with the concept of an extremely long lifespan. So I read this as the Doctor being reluctant to travel with humans who has been made immortal and maybe not dealing with it that well.